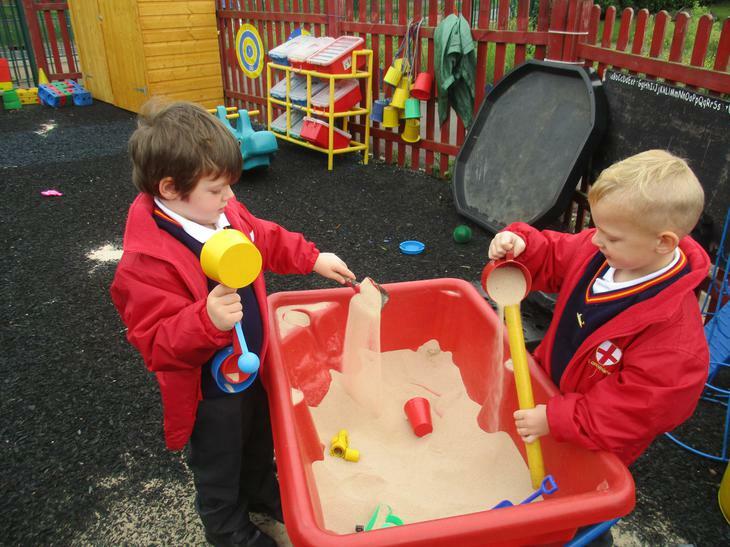 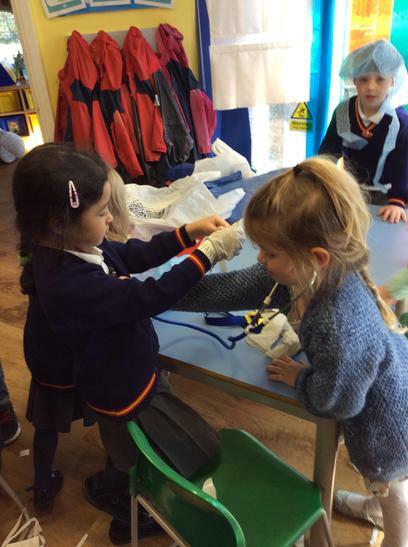 Over the half term break, as a part of our topic on the Seaside, we would like you to help your child make a boat that will float. 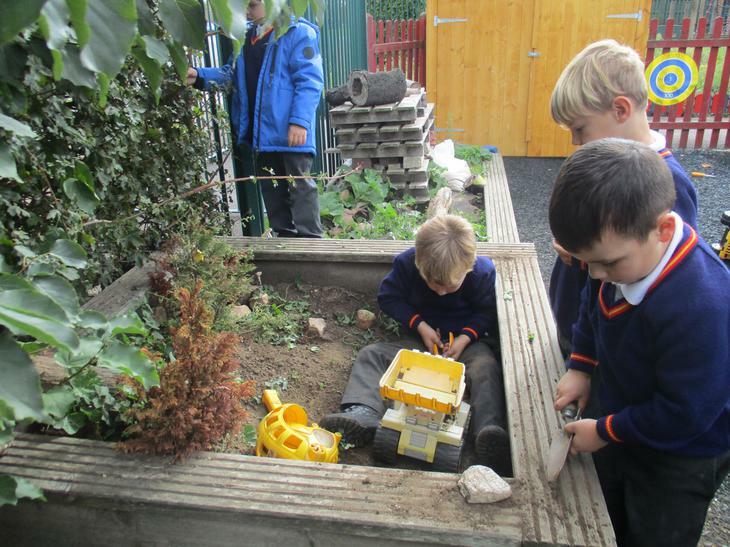 This should be no bigger than a shoebox and made of materials that you can easily find around your house, such as a margarine tub, lego or plasticine. 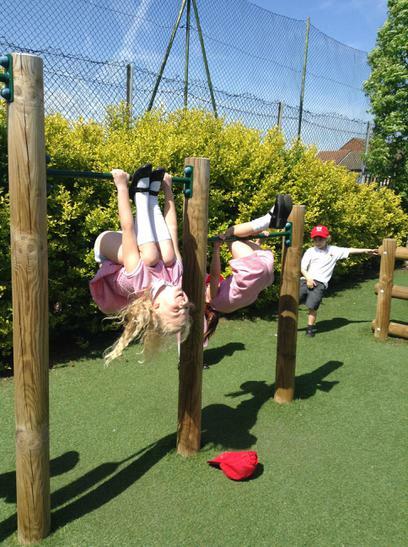 It would be great if you could put a picture on Tapestry of its test launch! 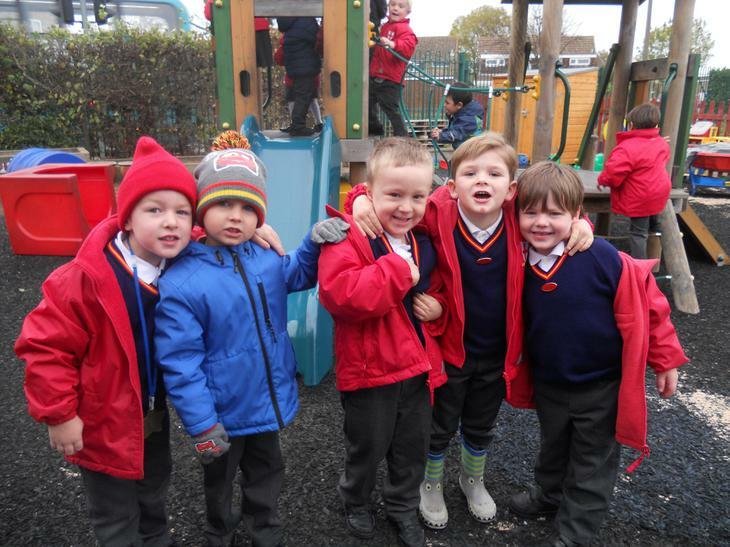 Wishing you a safe, happy half-term break and if you go anywhere nice together send us/bring us back a postcard or take a picture for Tapestry. 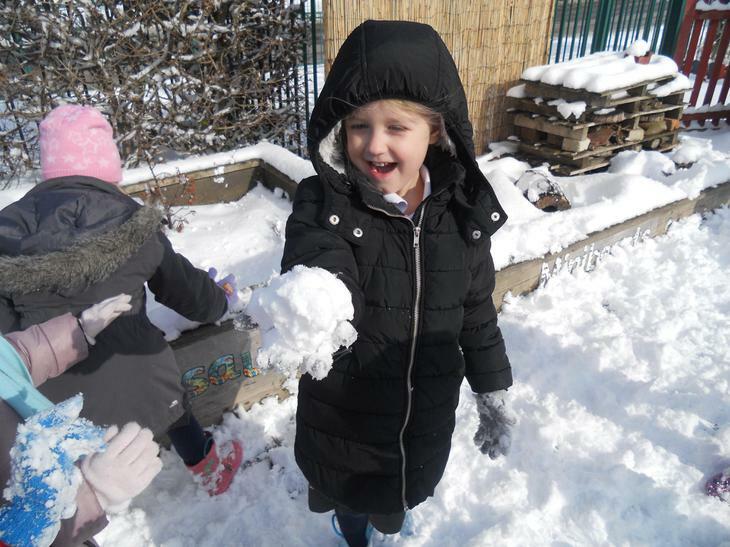 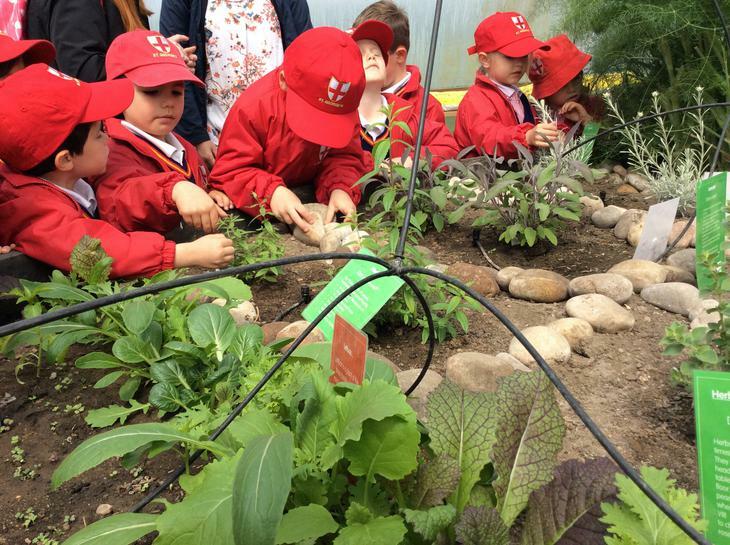 As part of our work about growing, we have been growing broad beans. 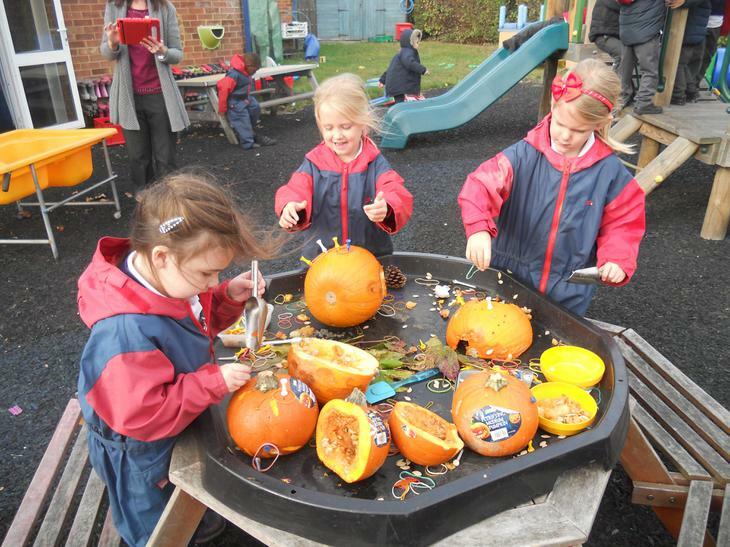 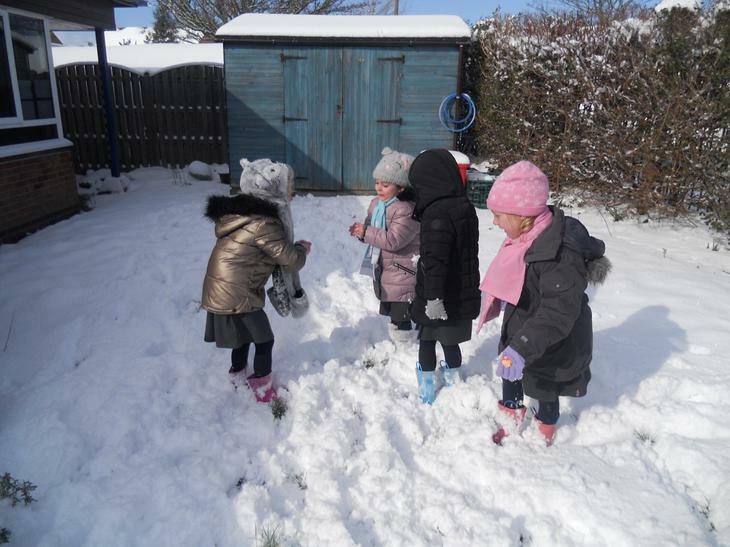 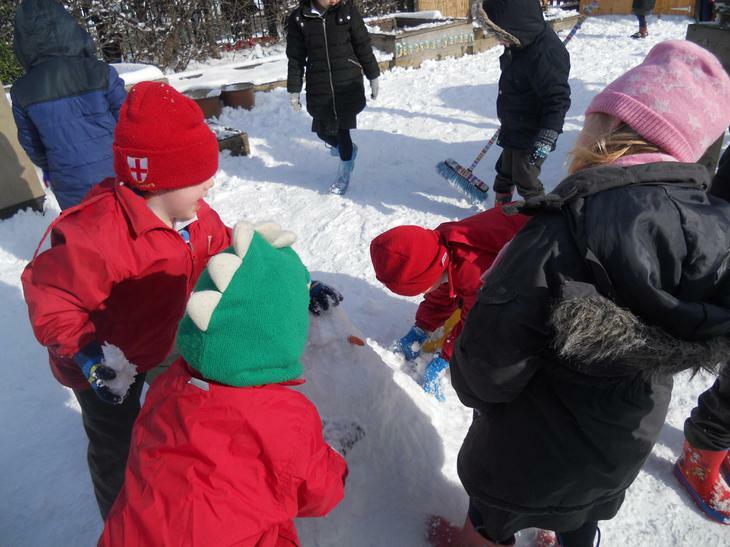 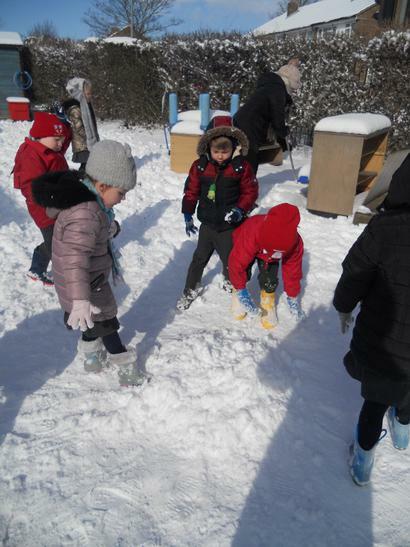 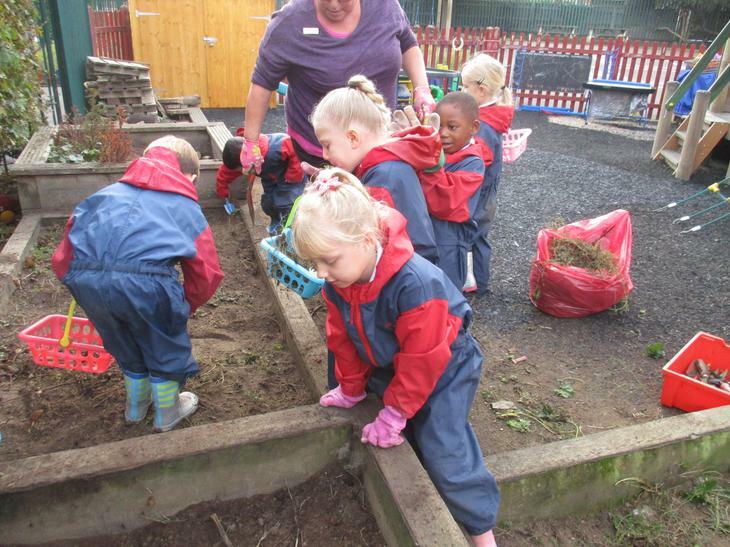 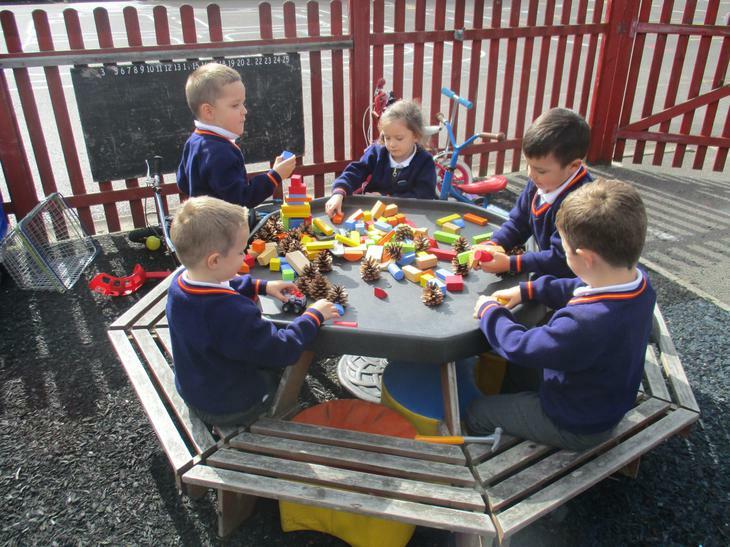 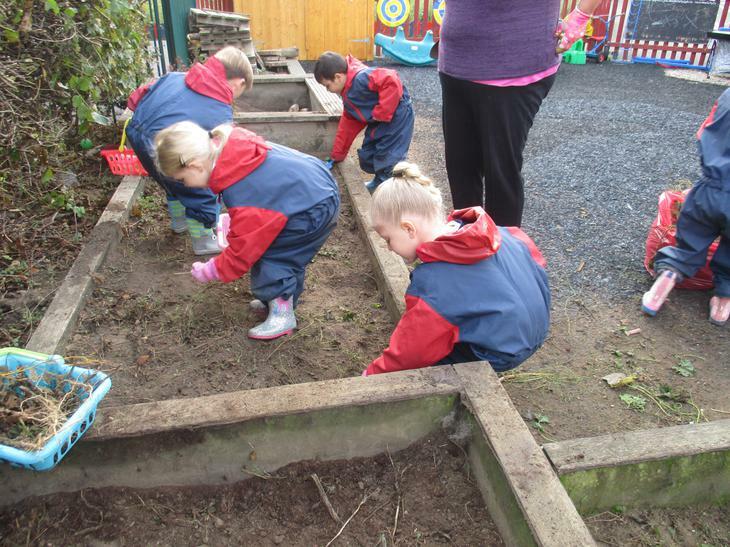 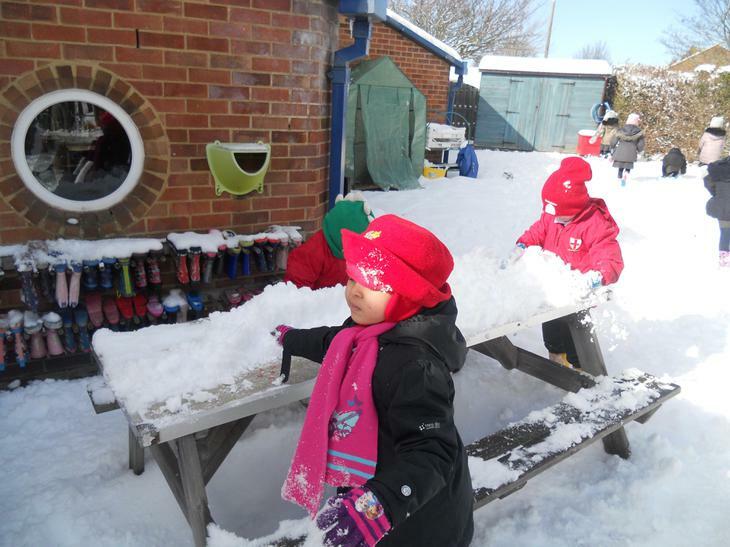 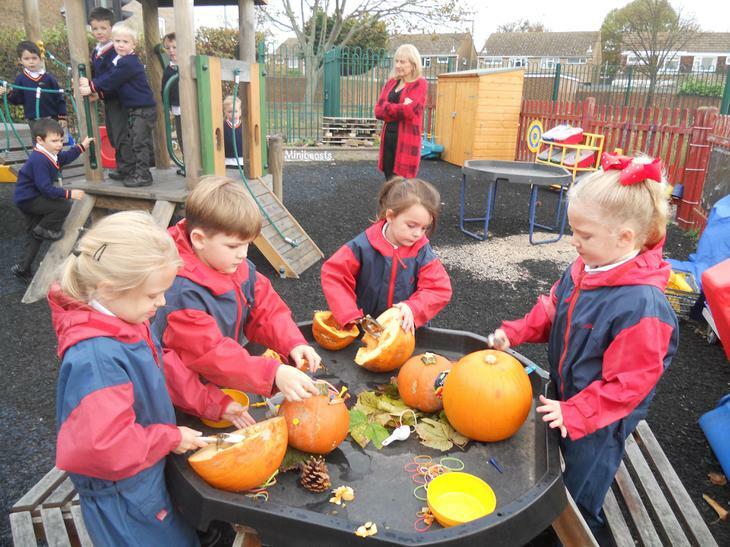 We have talked about them needing soil, water and sunshine and have been watching them grow. 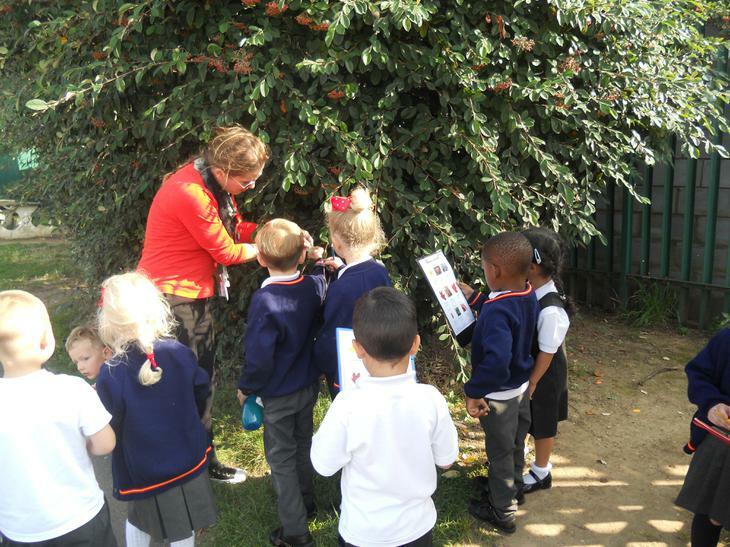 Please continue to look after this bean plant, and, when you get the chance can you take a picture to show how big it is growing. 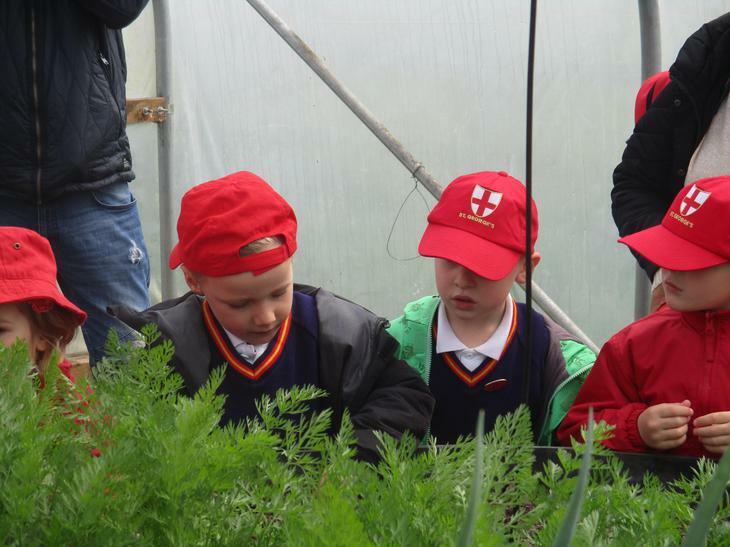 Hopefully, you should have a lovely crop of beans for dinner soon! 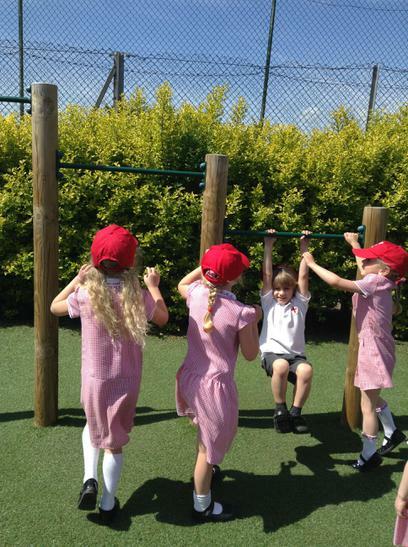 Congratulations to our Pentecost Dash runners, we are very proud of all of you. 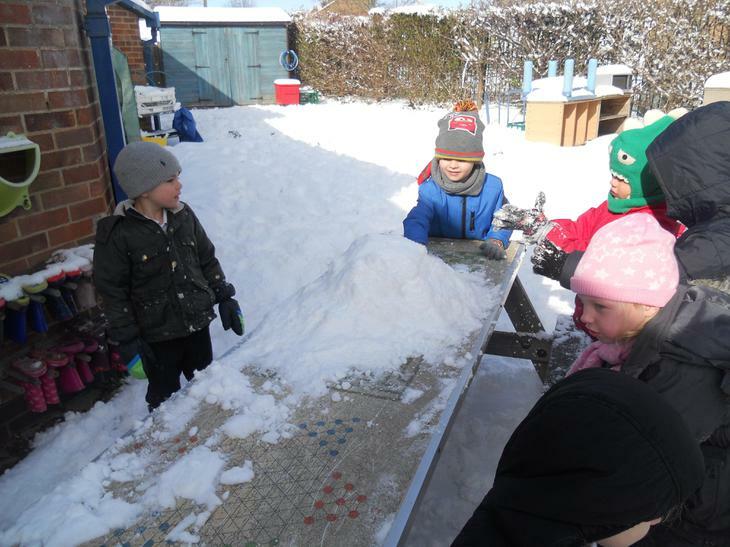 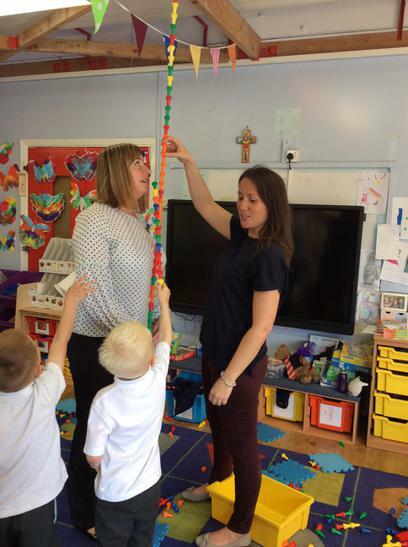 The boys had made a tall tower with the pegs. 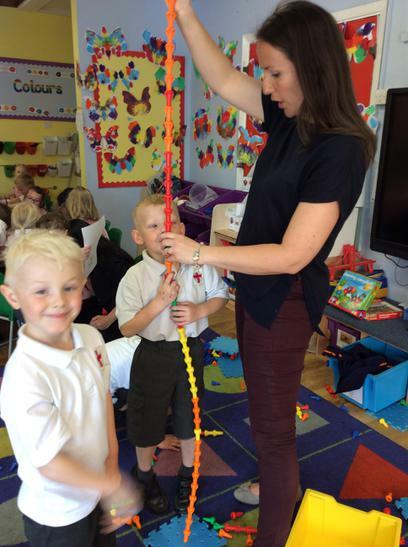 They used it to find out which of them was the tallest and then measured Mrs Robb. 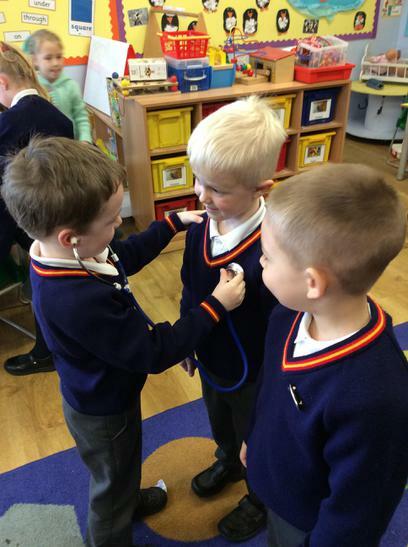 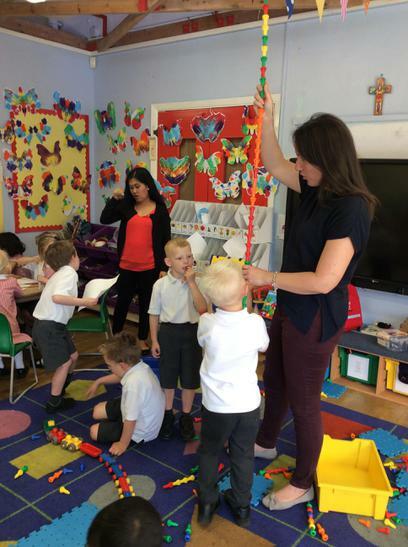 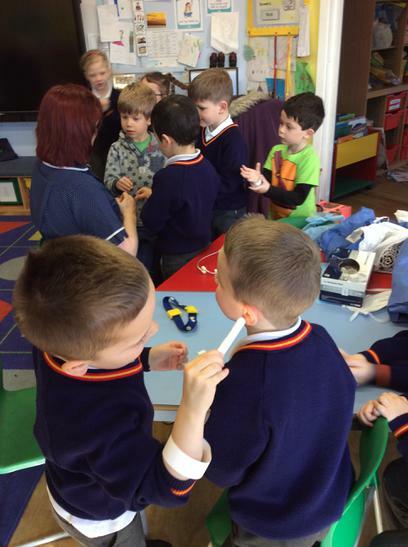 After discussion, they decided that maybe Mrs Wallen was shorter than Mrs Robb and checked with the pegs. 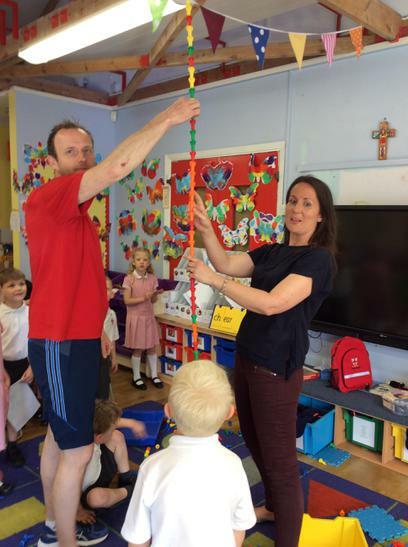 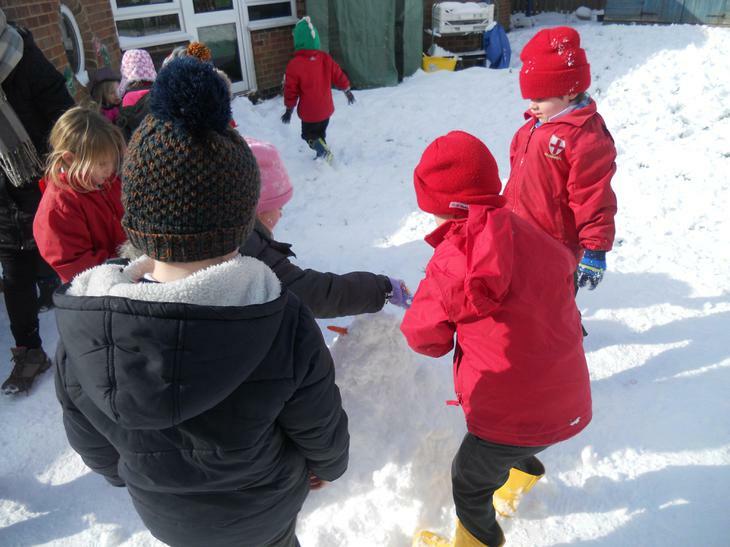 Further discussion led to the question of whether Mr Sims or Mrs Delgado were the tallest in the school so they went to fetch them to check! 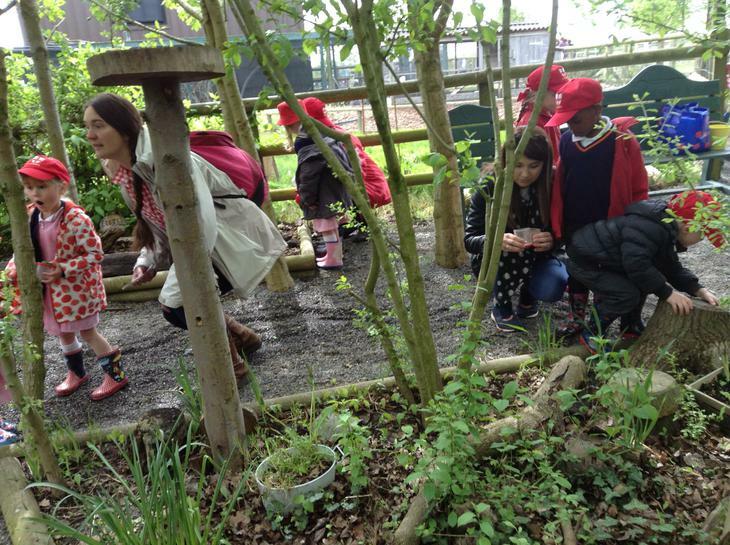 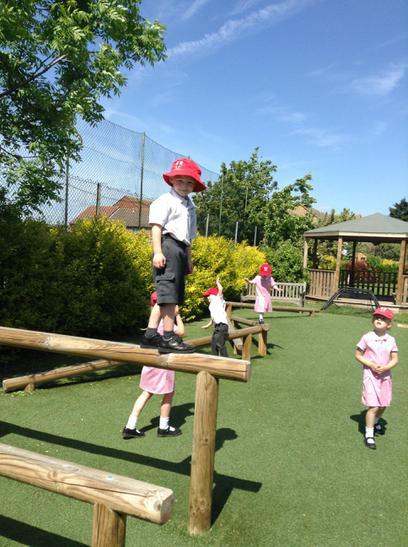 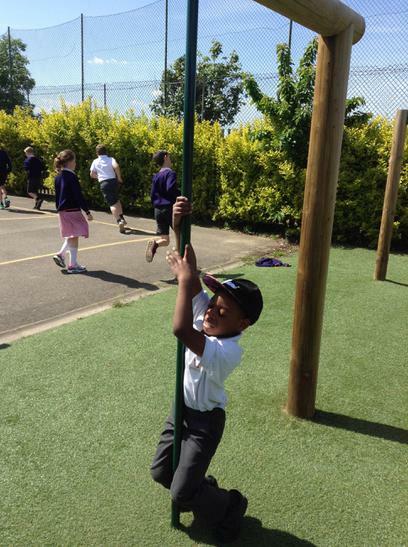 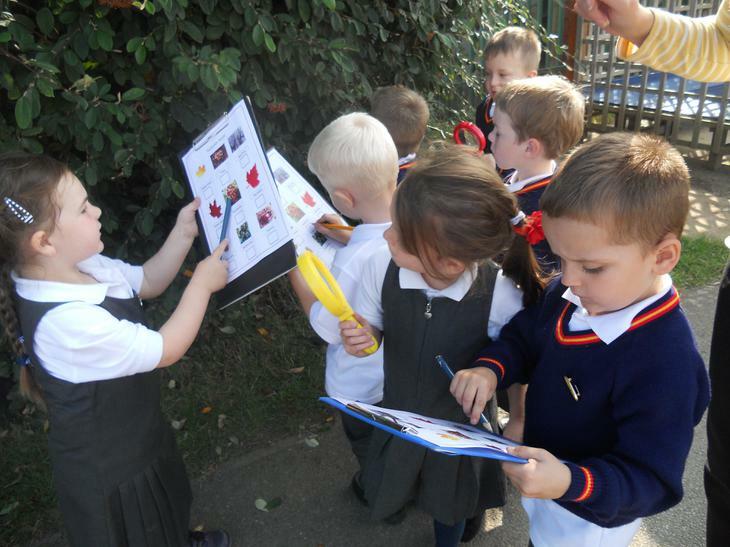 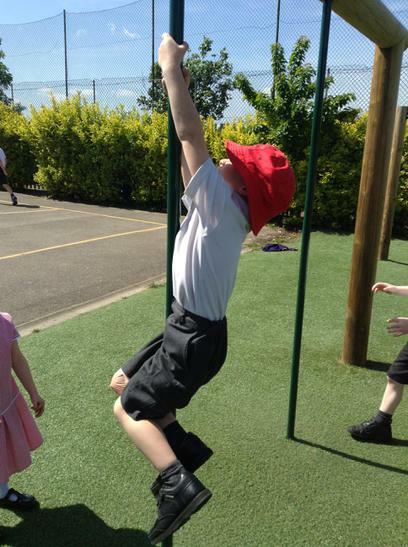 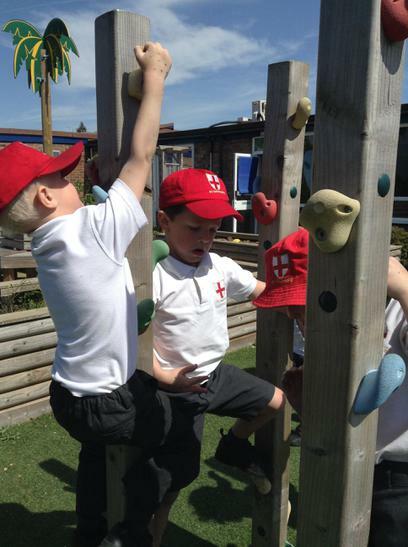 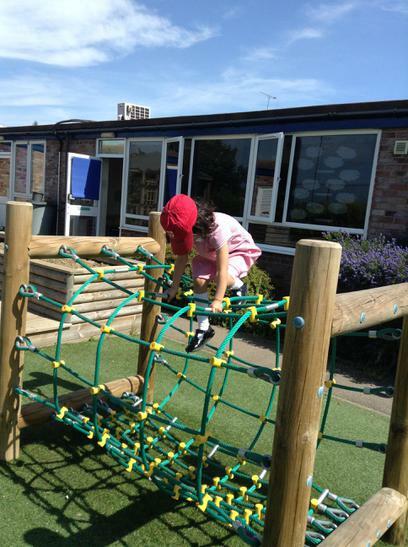 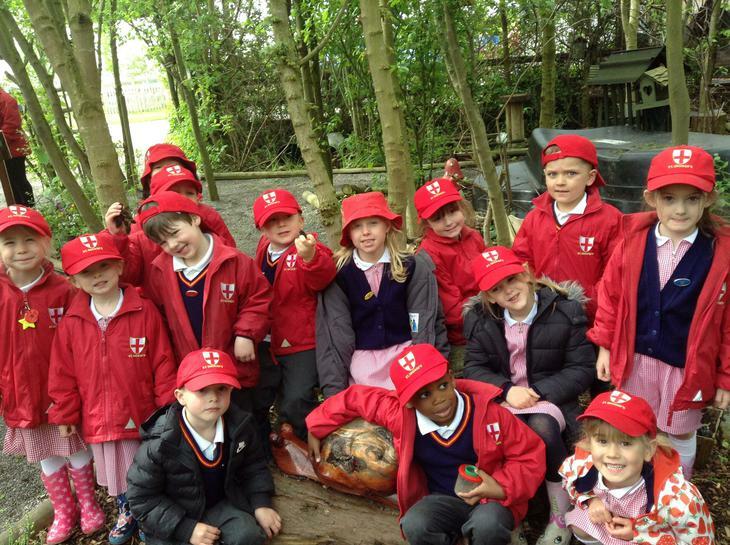 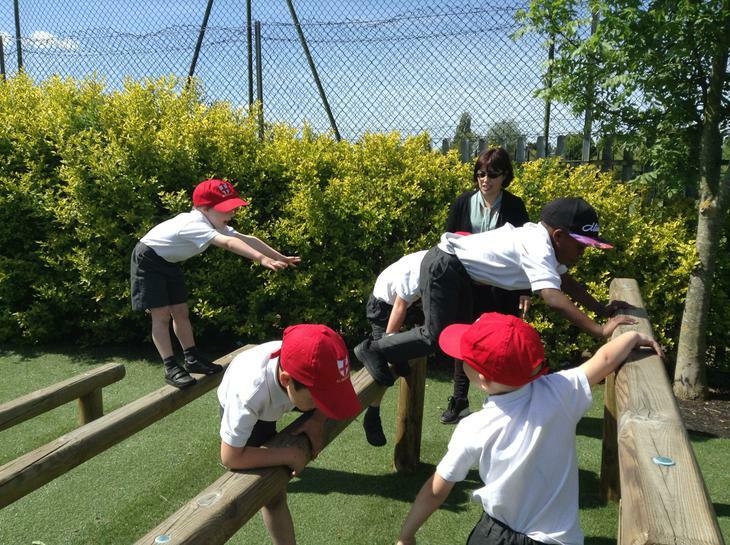 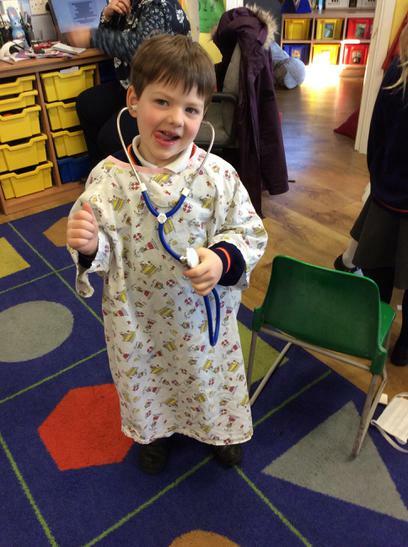 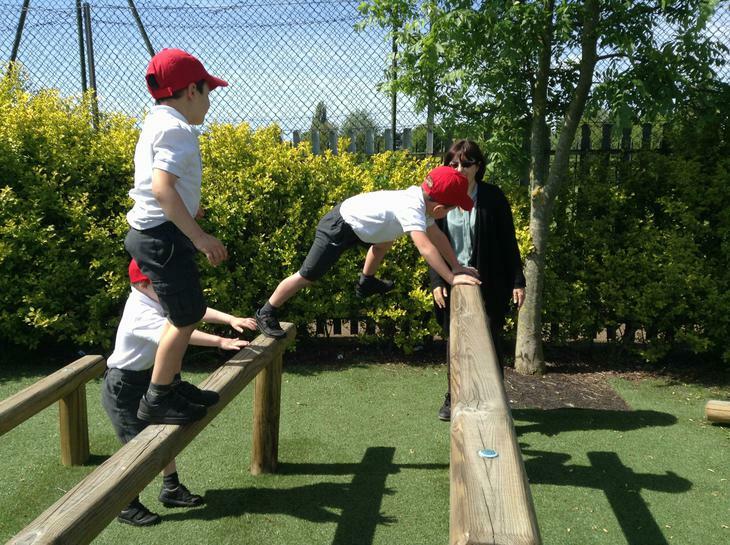 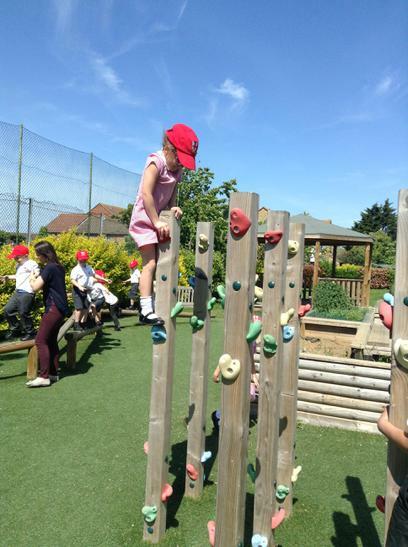 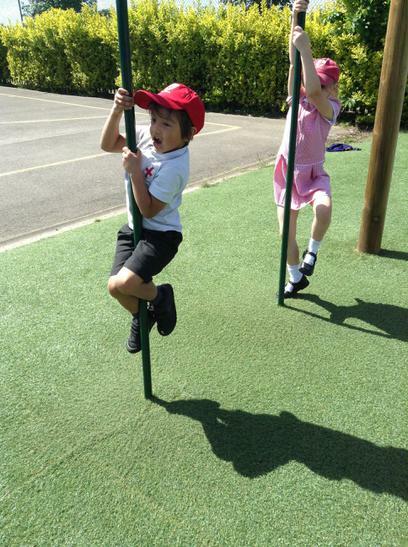 On Thursday 3rd May, St Francis class went to look for The Very Hungry Caterpillar at Barleylands in Billericay. 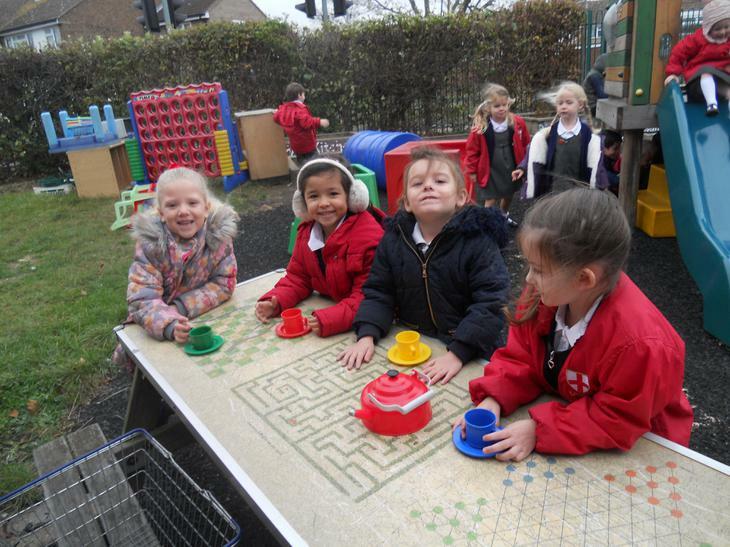 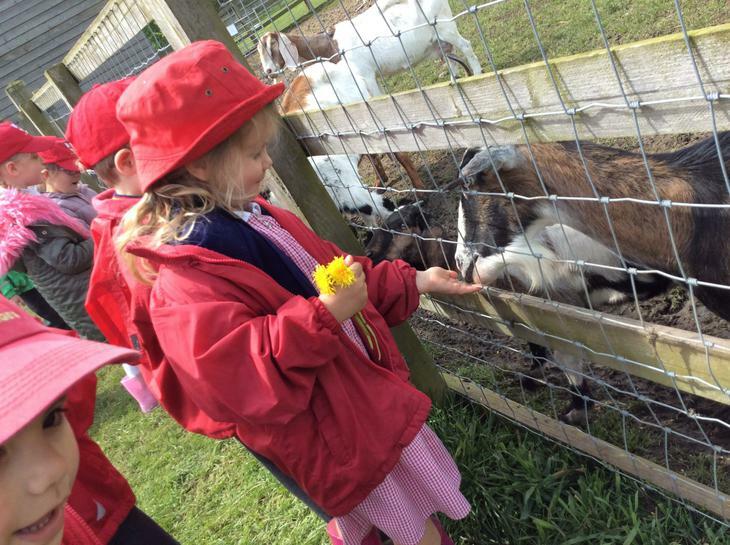 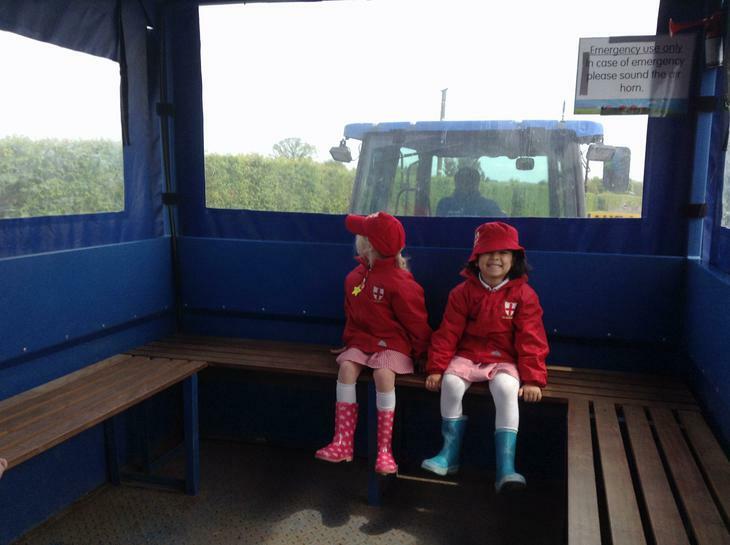 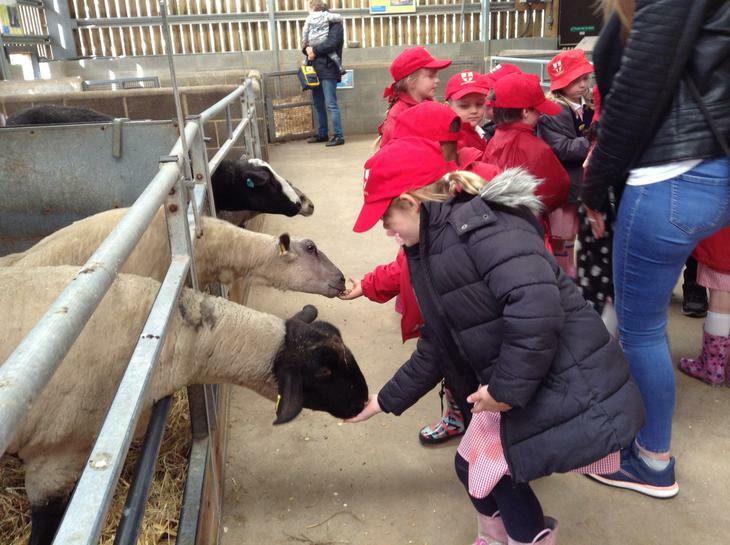 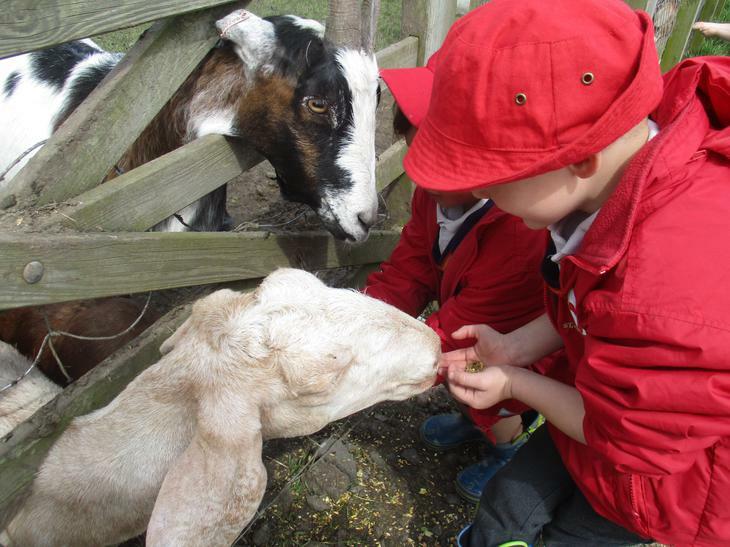 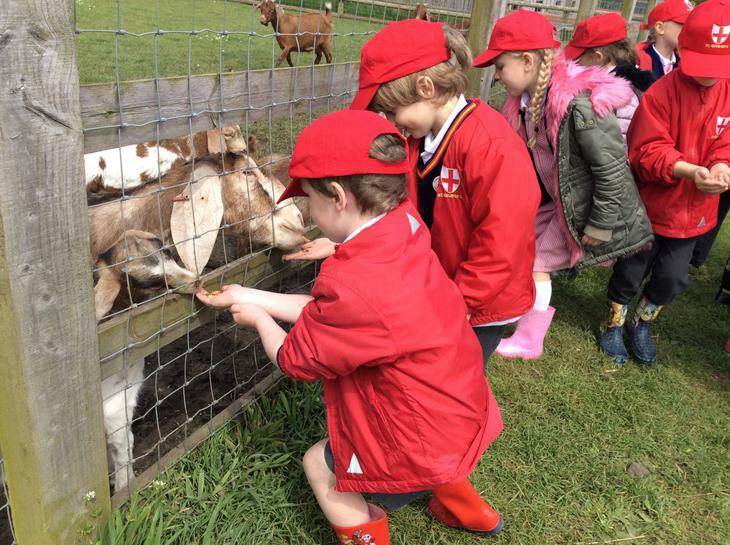 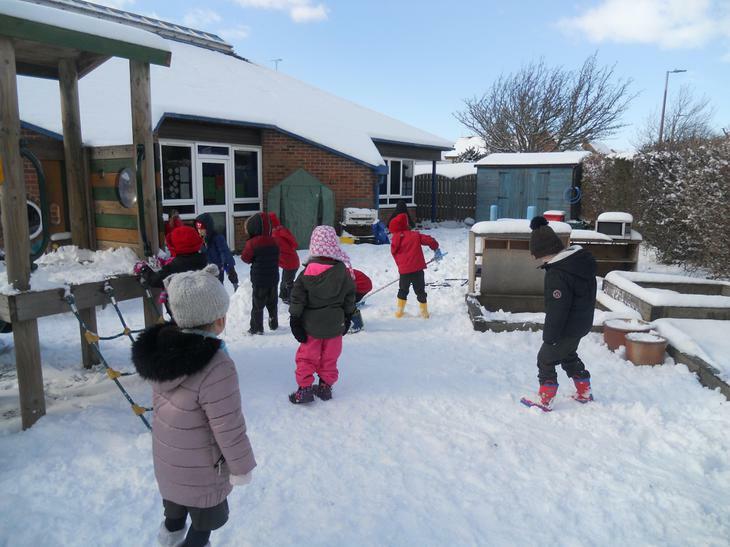 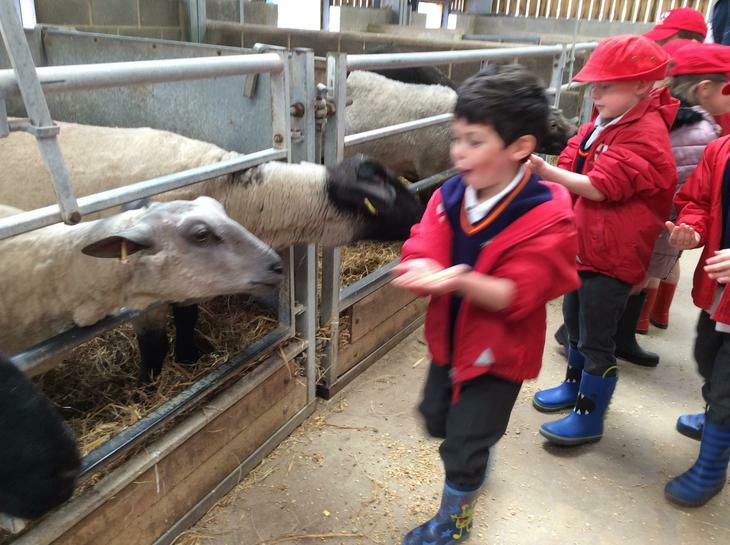 We had a wonderful time feeding the animals, searching for caterpillars and other bugs and even went on a bumpy tractor ride. 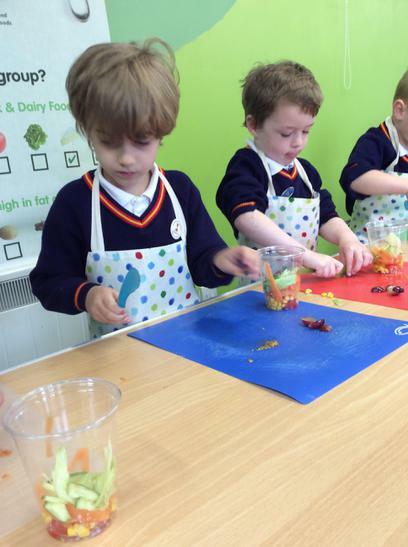 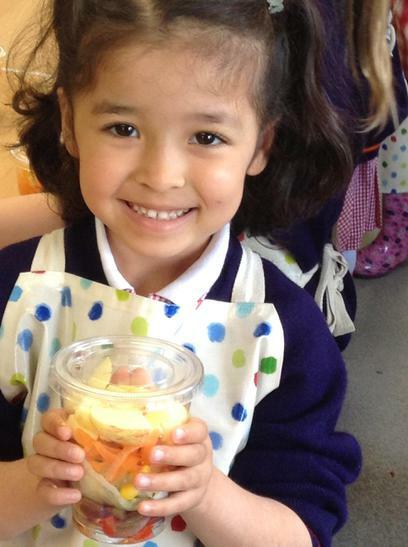 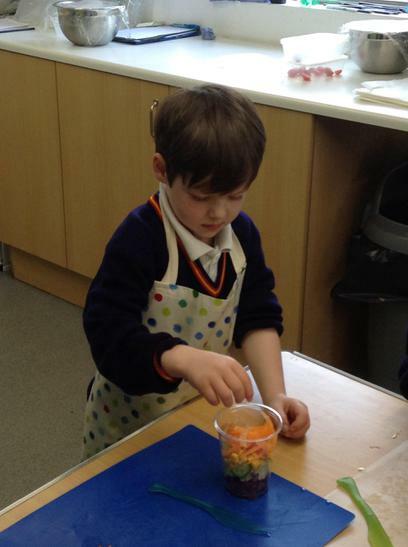 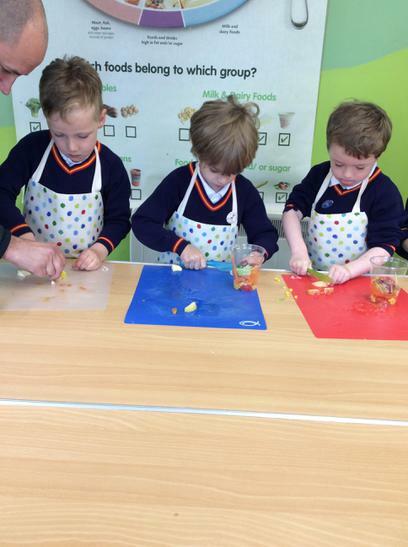 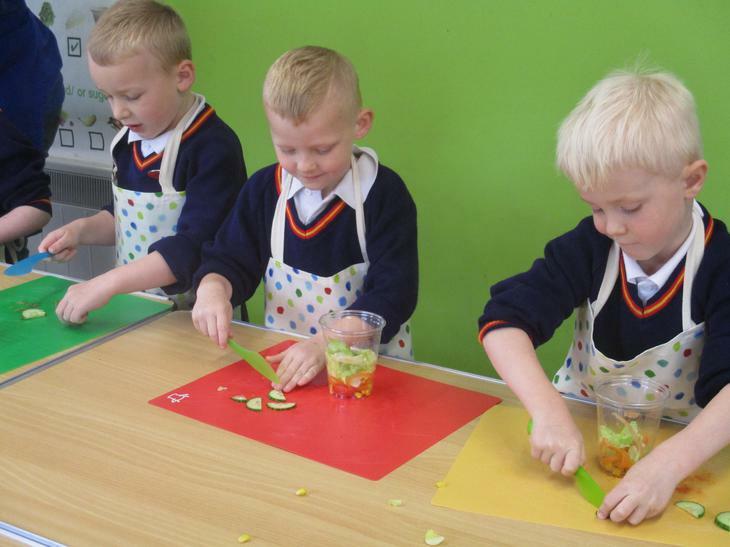 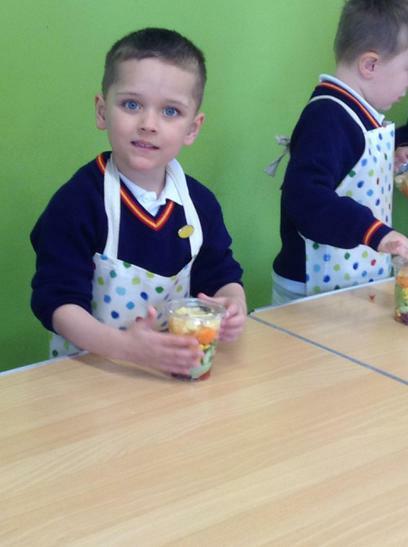 We also made a very tasty layered salad inspired by the hungry caterpillar's munching. 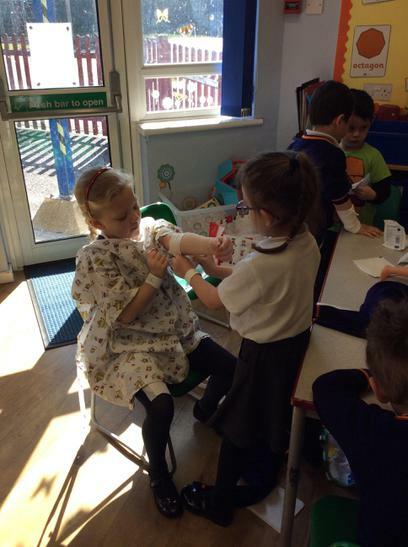 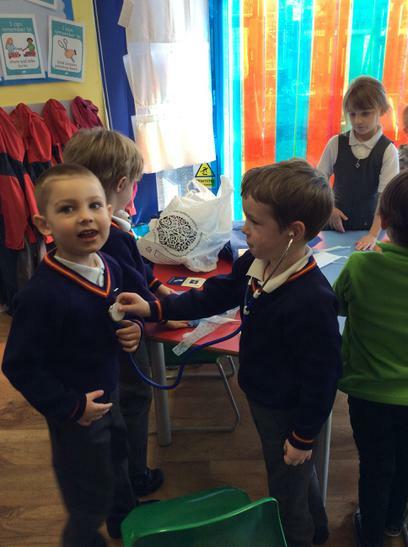 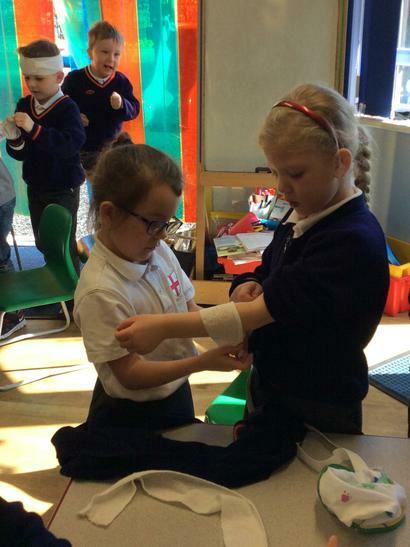 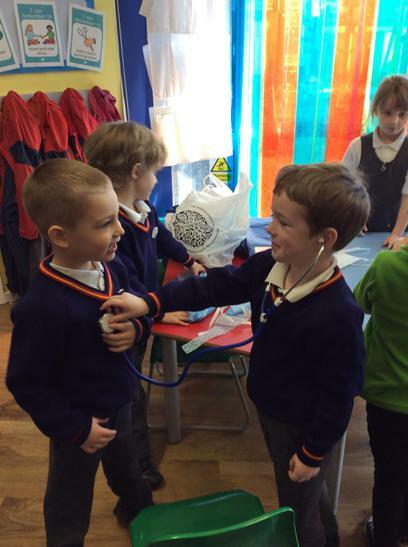 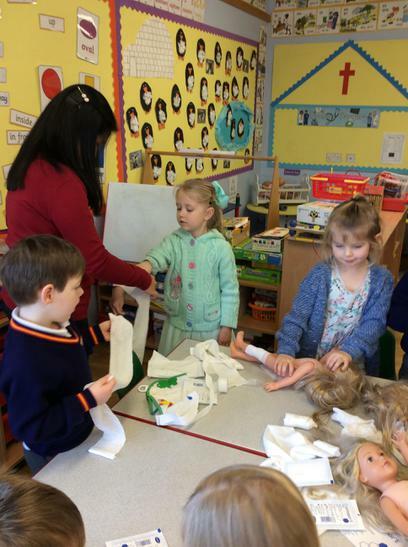 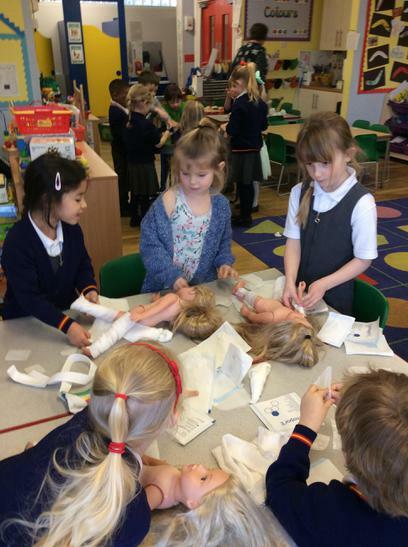 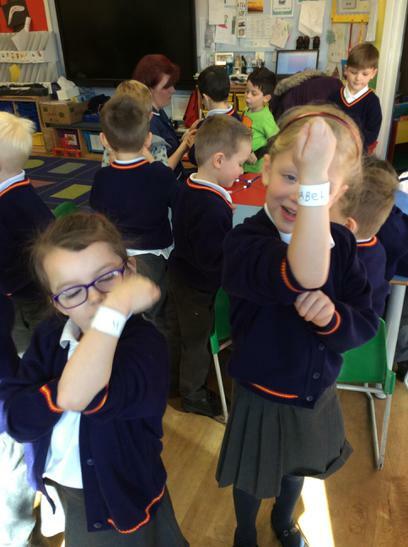 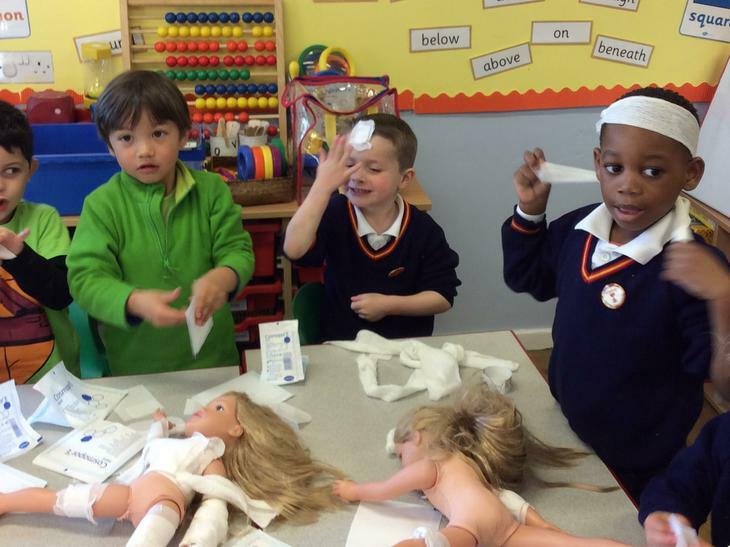 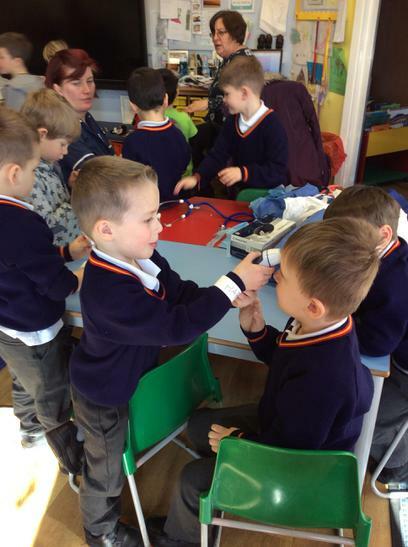 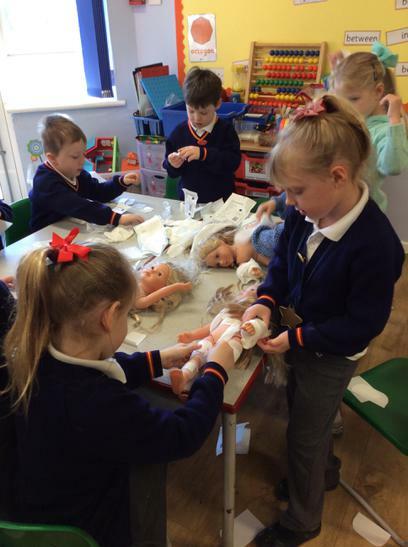 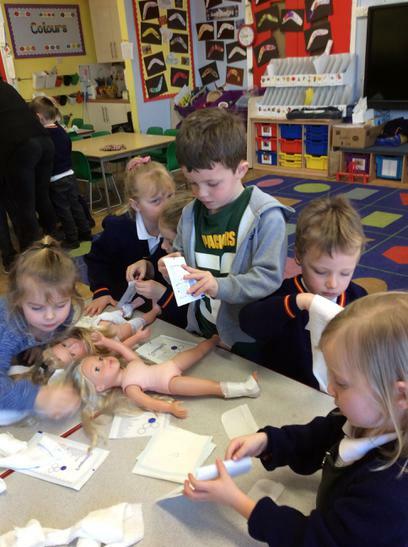 Today we had fun practicing bandaging, using syringes and taking temperatures when Mrs O'Mahoney came in to tell us about her life as a nurse. 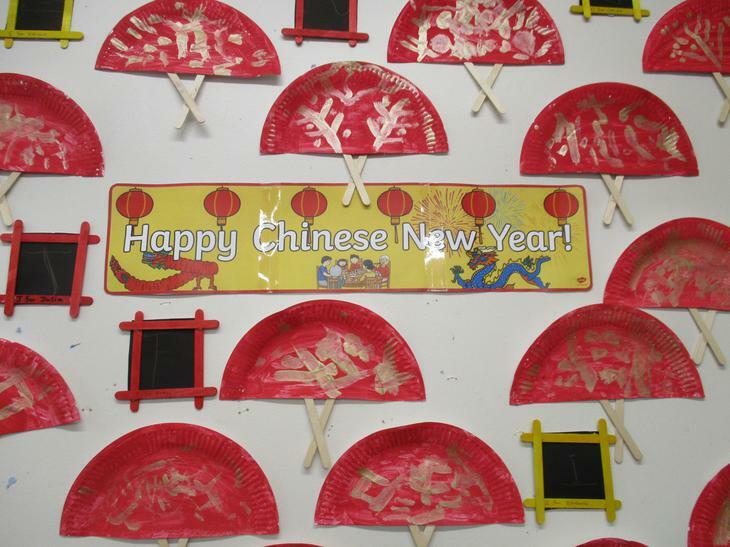 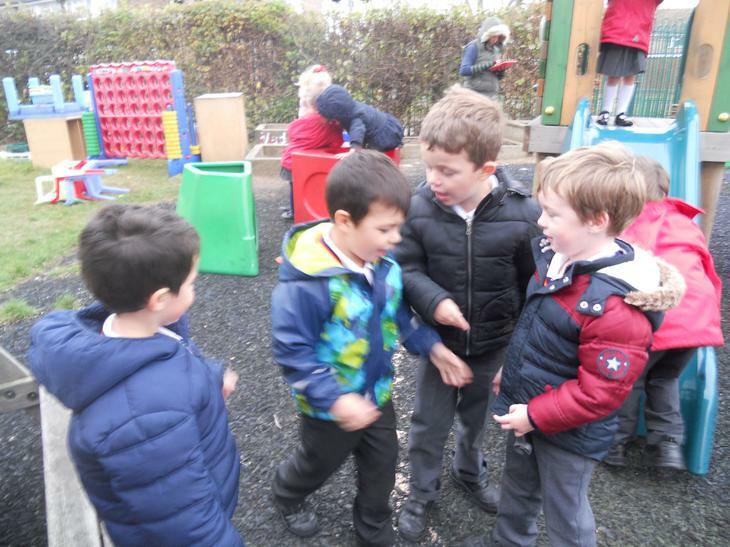 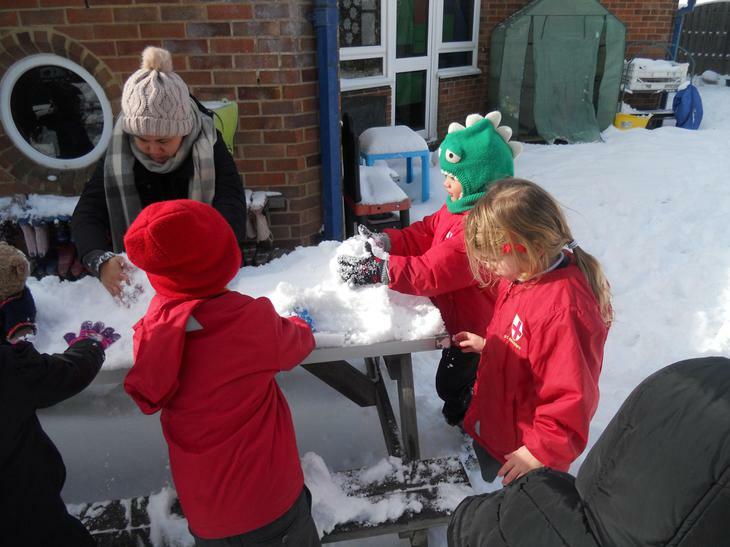 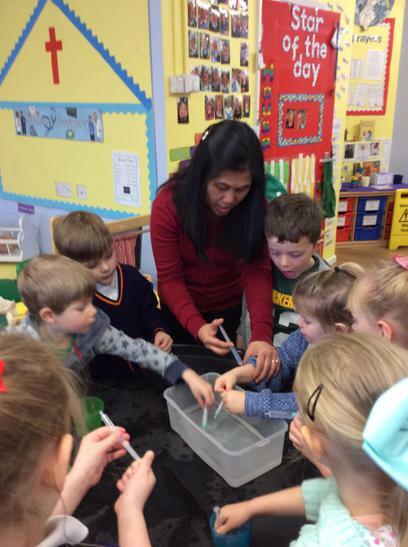 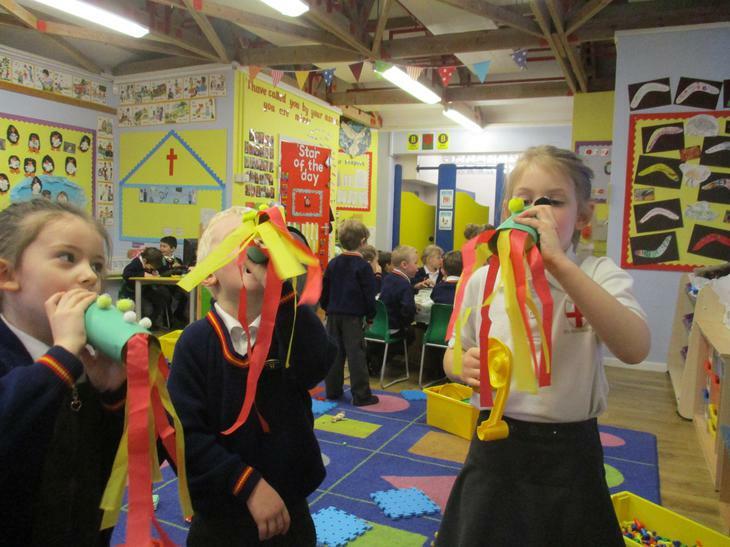 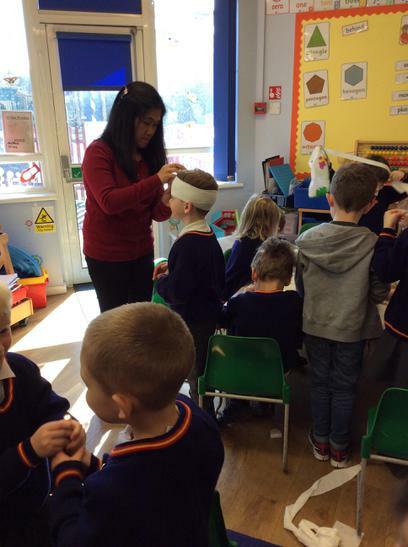 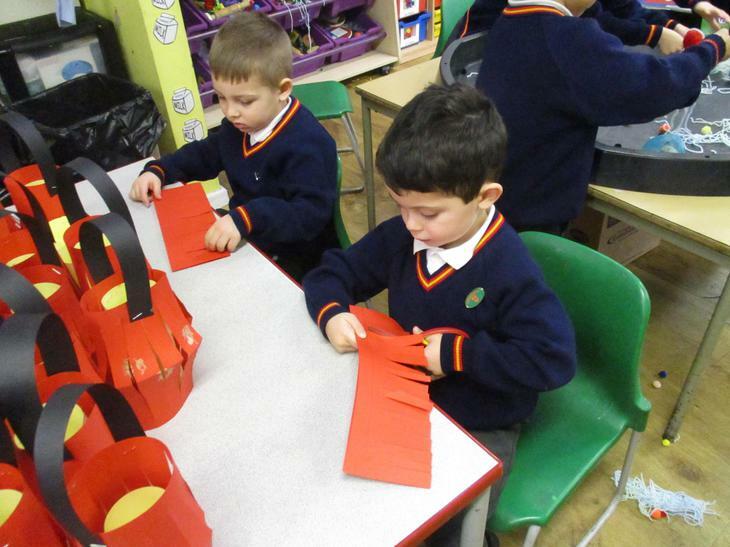 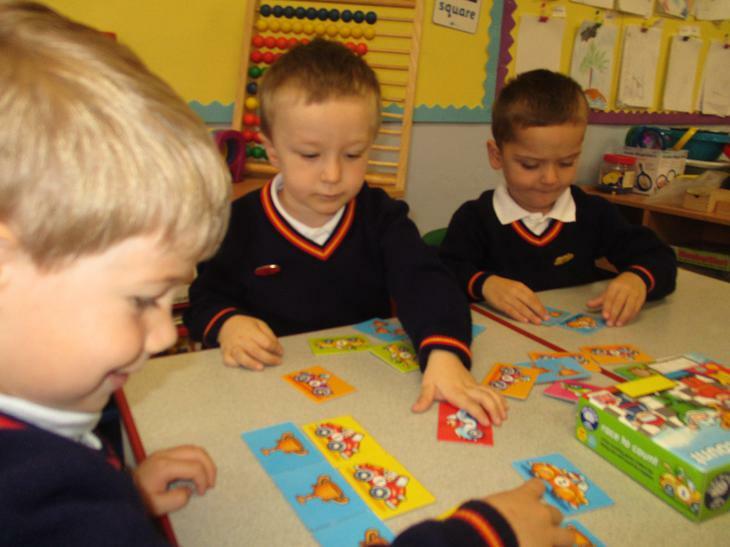 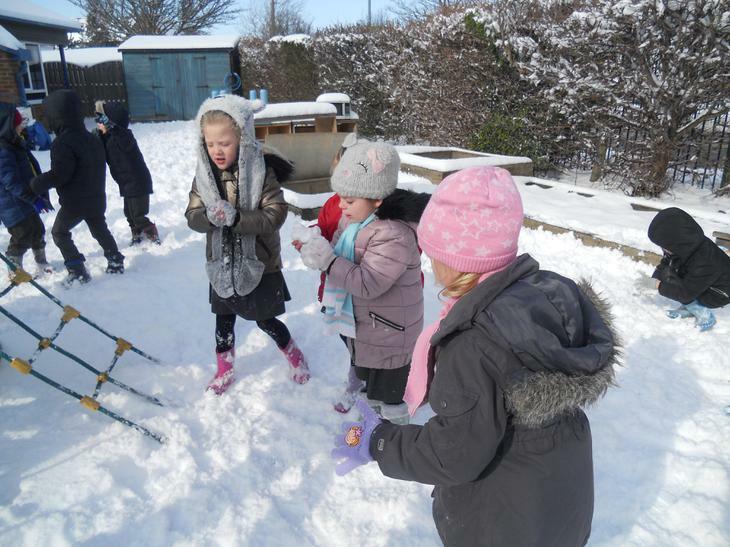 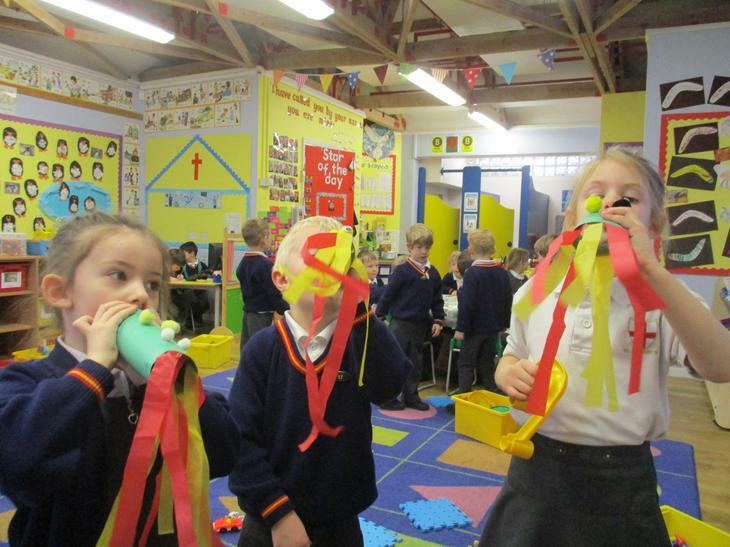 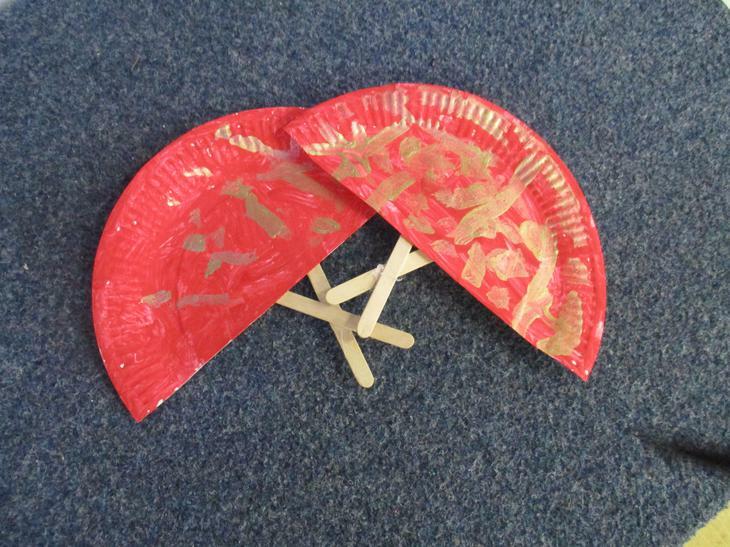 This week, in St Francis class, we have been celebrating Chinese New Year, this year falling on 16th February. 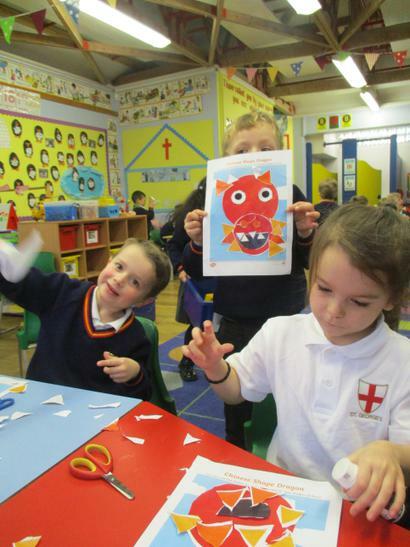 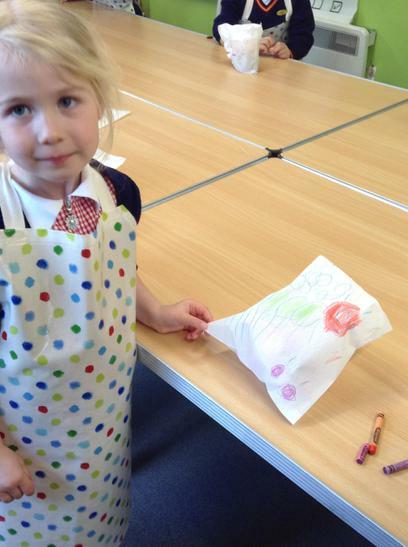 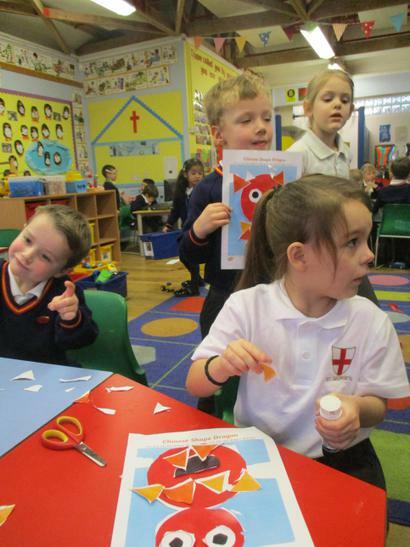 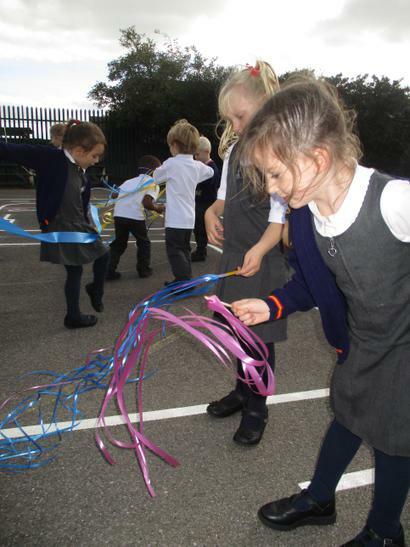 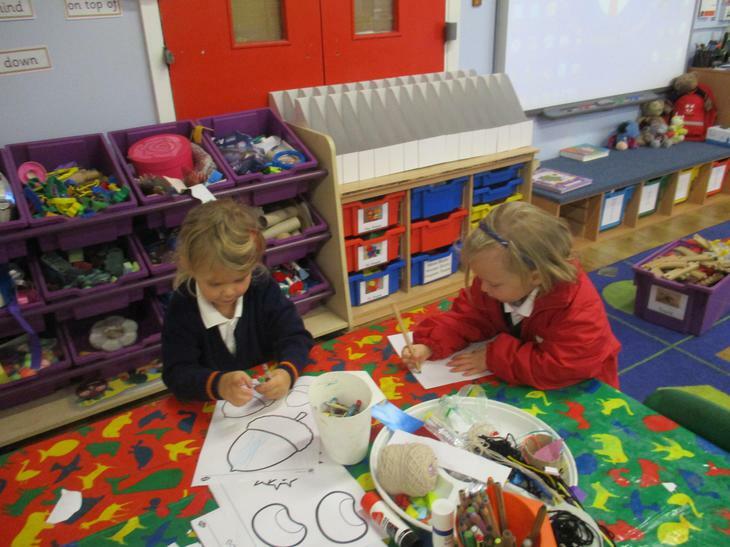 The children made lanterns and fans and used shapes to make dragons. 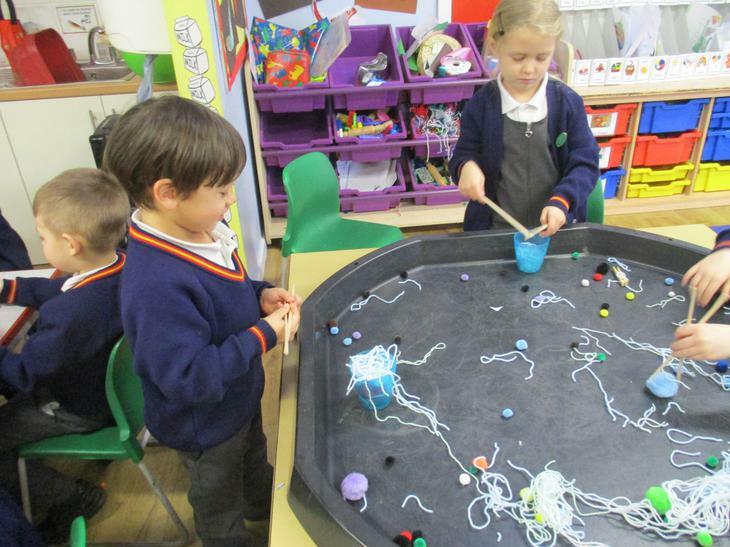 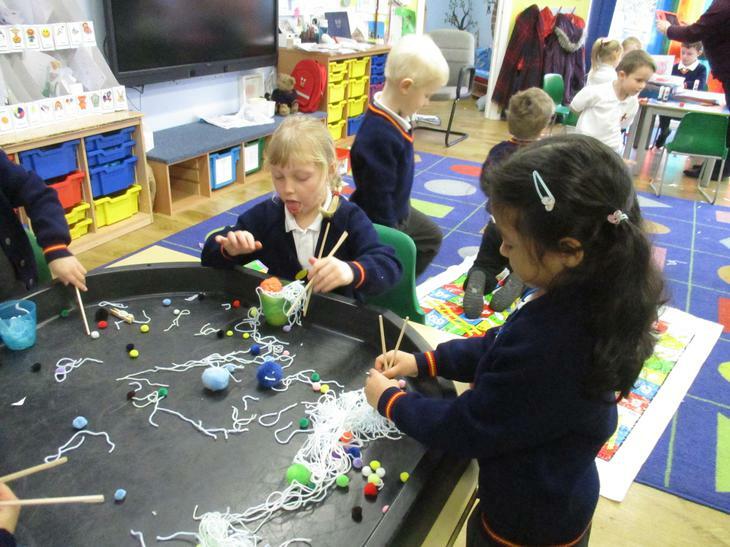 They also experimented with chopsticks, trying to pick up wool 'noodles' and pompom 'dumplings'. 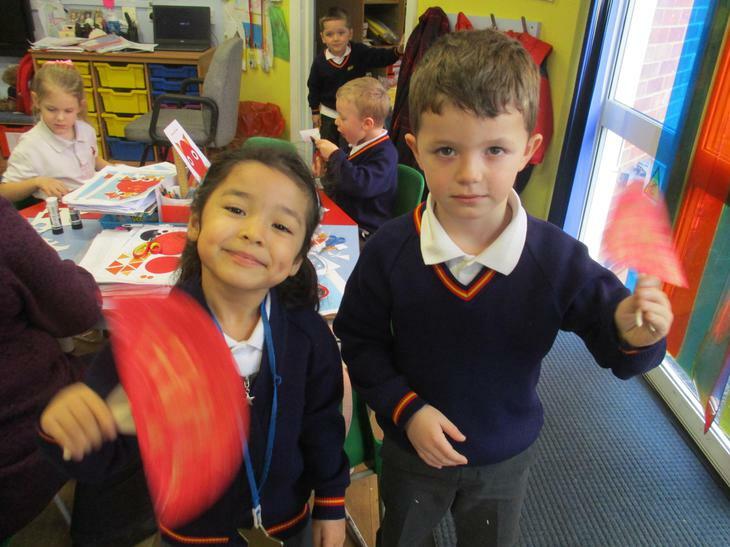 We also looked at the Chinese characters representing their initials and watched lion dancers and dragon dancers on film. 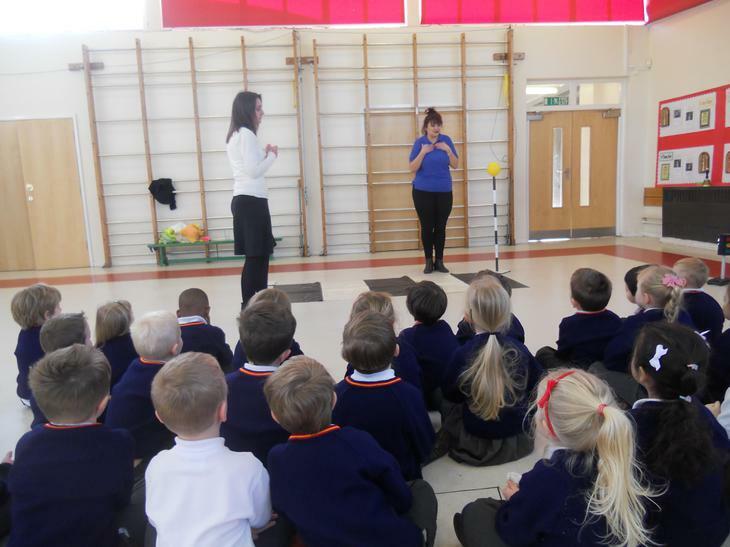 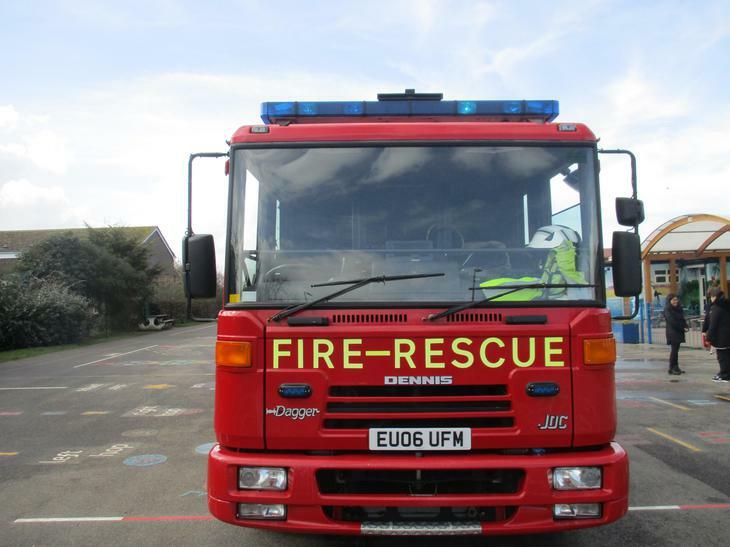 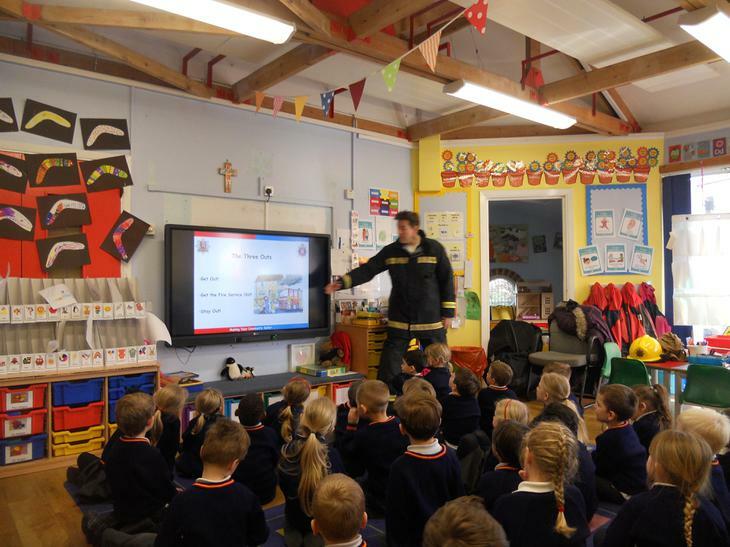 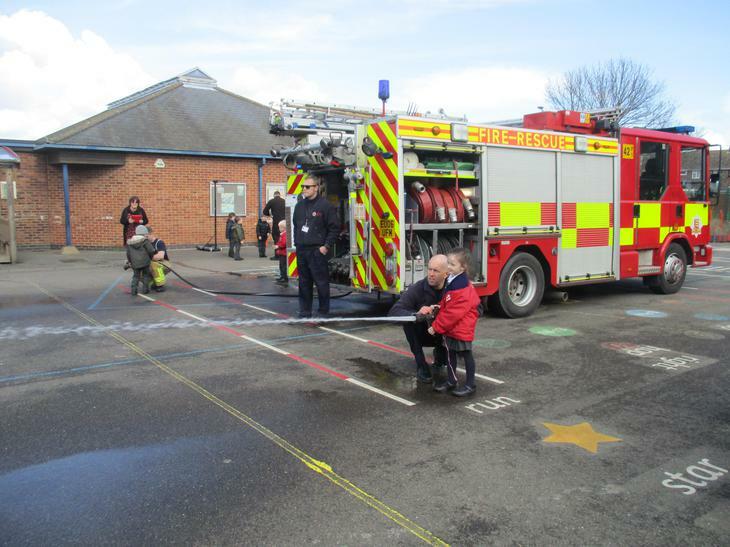 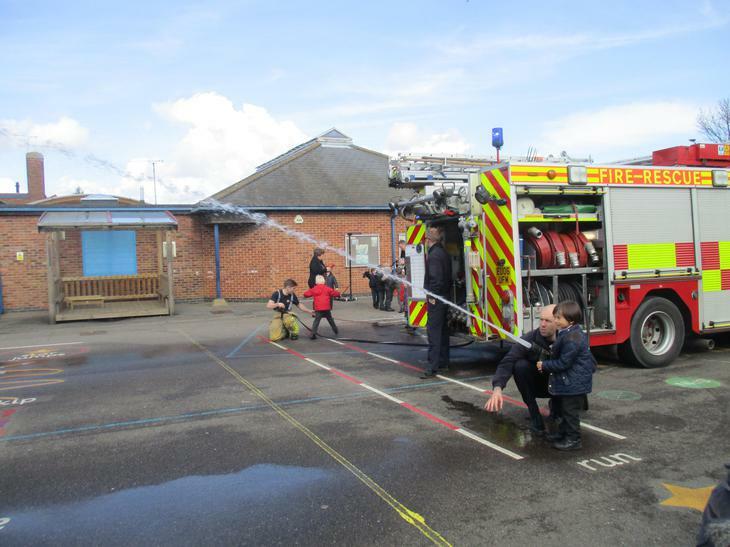 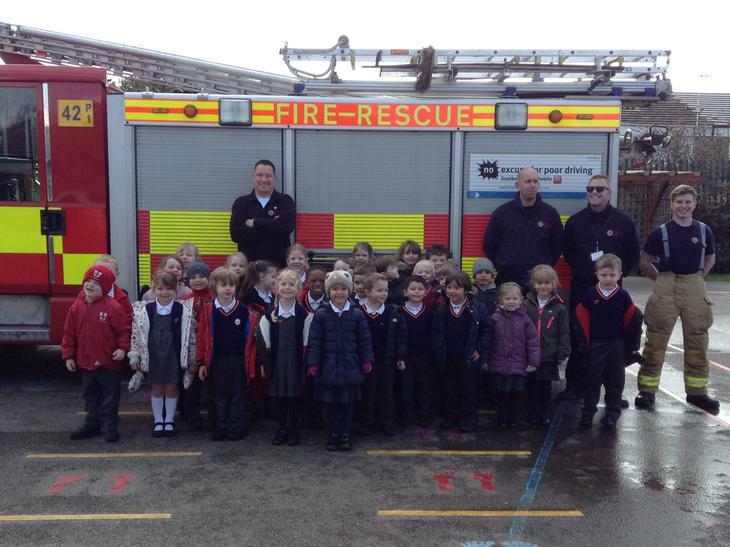 This week we had a visit from Helen from the Road Safety Team. 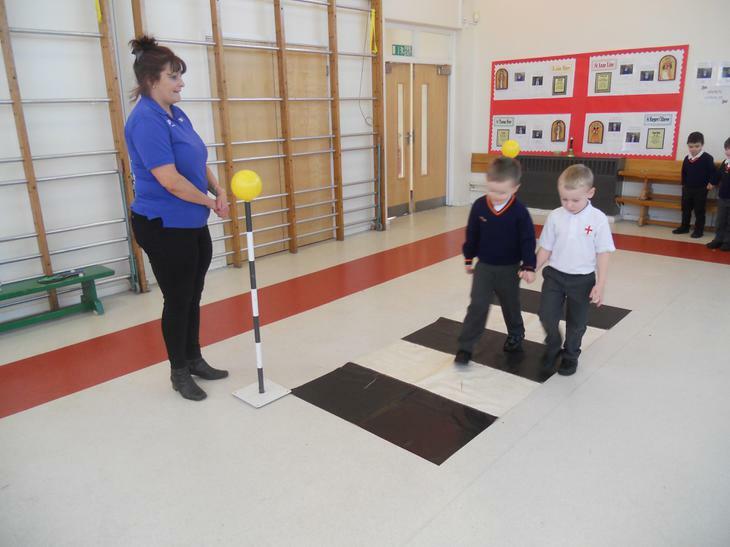 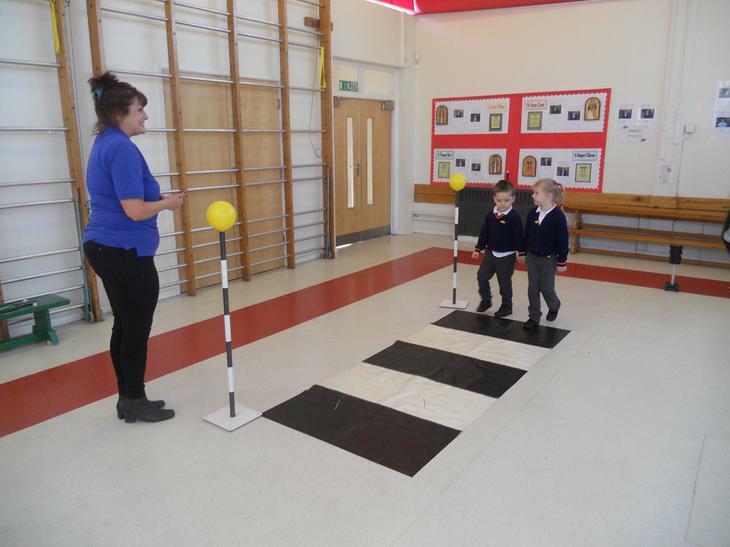 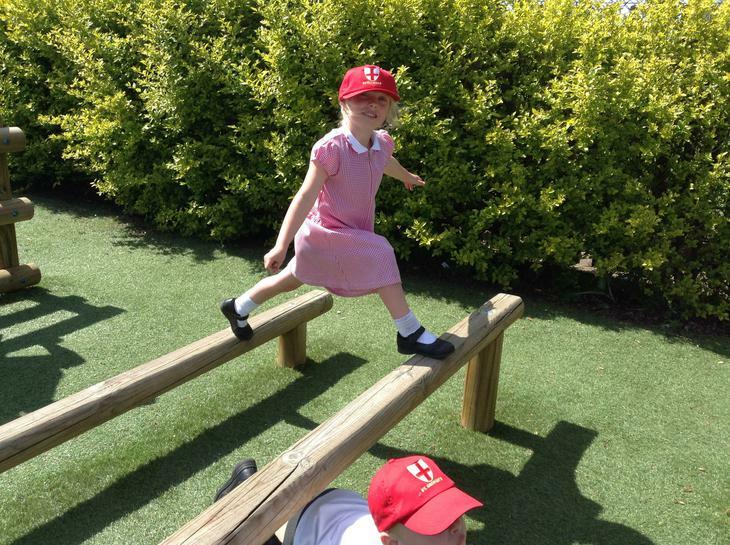 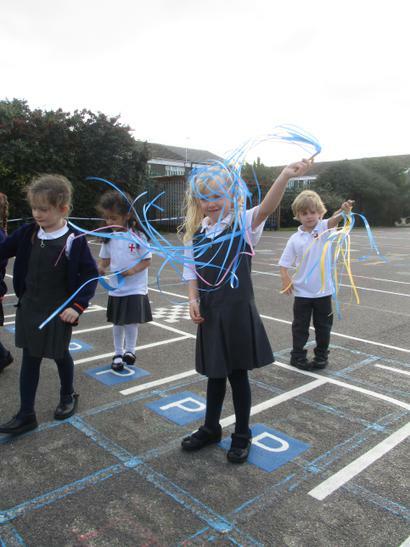 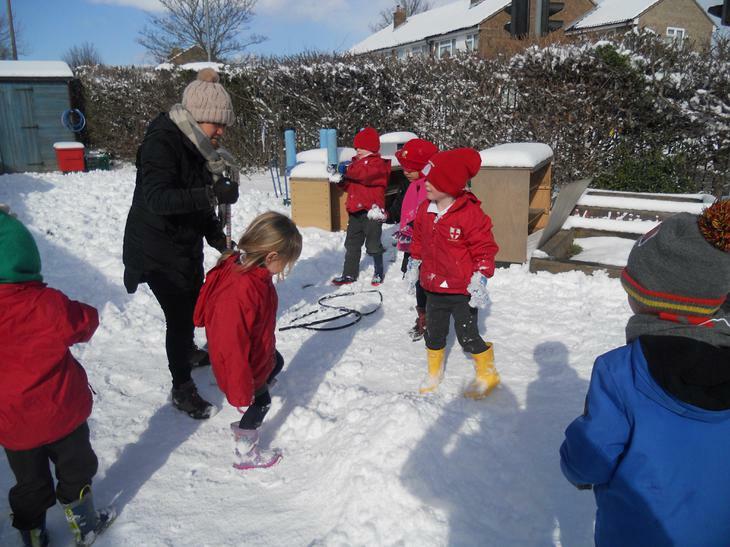 She reminded them to hold hands with an adult or the buggy and that the safest place to cross is at a crossing. 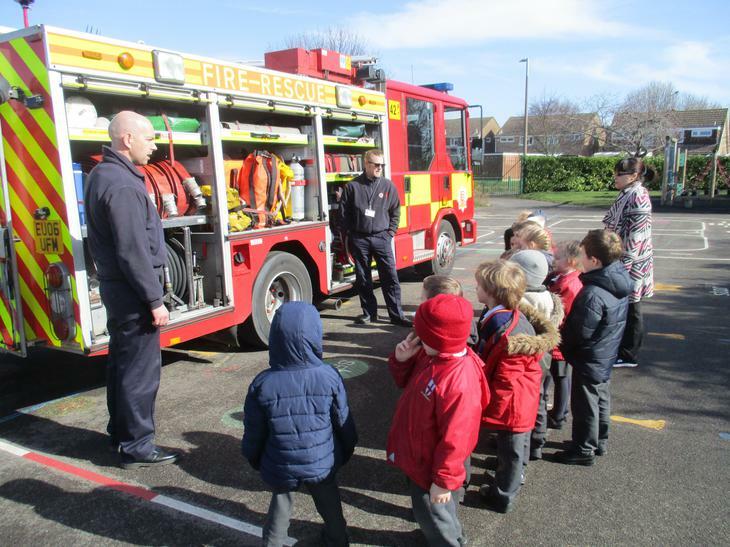 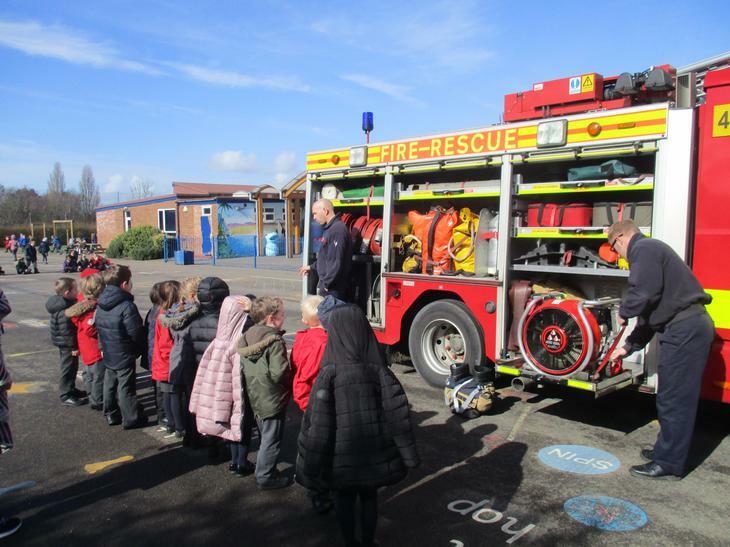 She told them to 'STOP, LOOK, LISTEN, THINK' to make sure it is safe before crossing the road and talked about wearing bright clothing to make them seen easier.